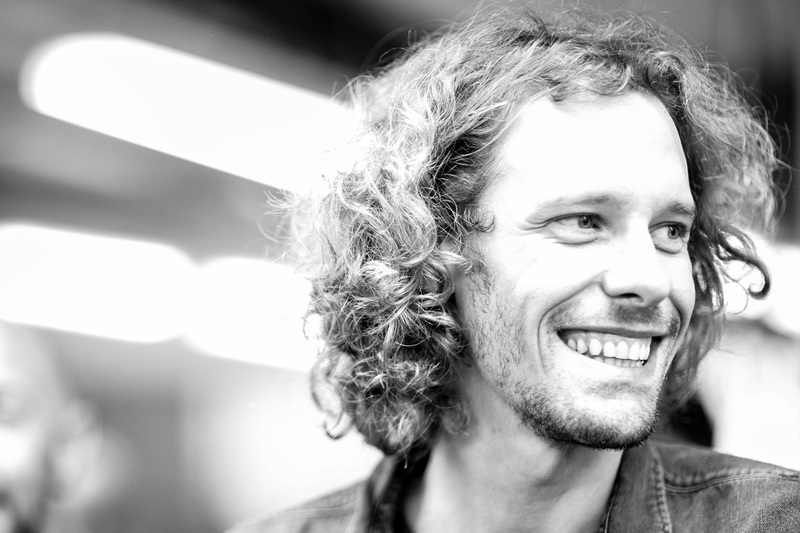 On the stage of Teatro de la Sena someone says: “A day at the beach!”; the remark is met with laughter. A cyclist's face is shown on the big screen in the background, covered with mud and sand, right after the ﬁnish of Paris-Roubaix. 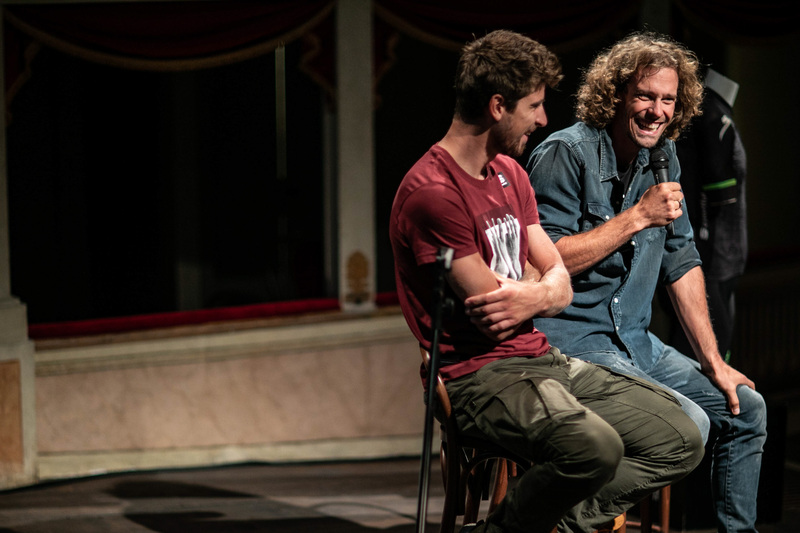 It’s the face of three-time world champion Peter Sagan, and he is the one making the audience laugh. It has just been a couple of days since Sagan was dethroned by Alejandro Valverde in Innsbruck. 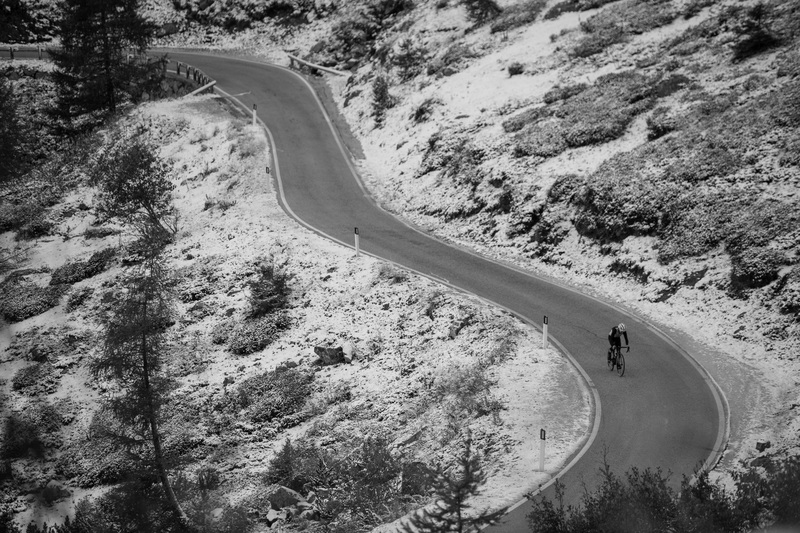 He had been able to register three titles in a row, but he couldn’t keep up with the grimpeurs in Tyrol. Sagan quit the race early; defending his title on the Olympic track in Innsbruch-Igls seemed impossible. This, however, doesn't afflict him, Sagan tells the interviewer: instead he feels relieved of an enormous pressure. Wearing the world champion's jersey on the starting line felt like both a great responsibility and a burden. Now Sagan is looking forward to be able to face the upcoming season's challenges without that burden resting on his shoulders. 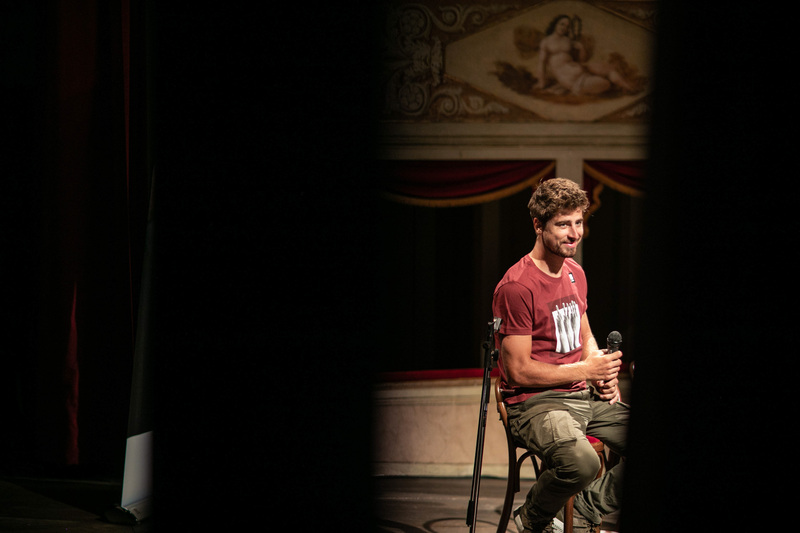 Let's start at the beginning though: sitting on the Teatro's stage in the old town of Feltre is Peter Sagan. 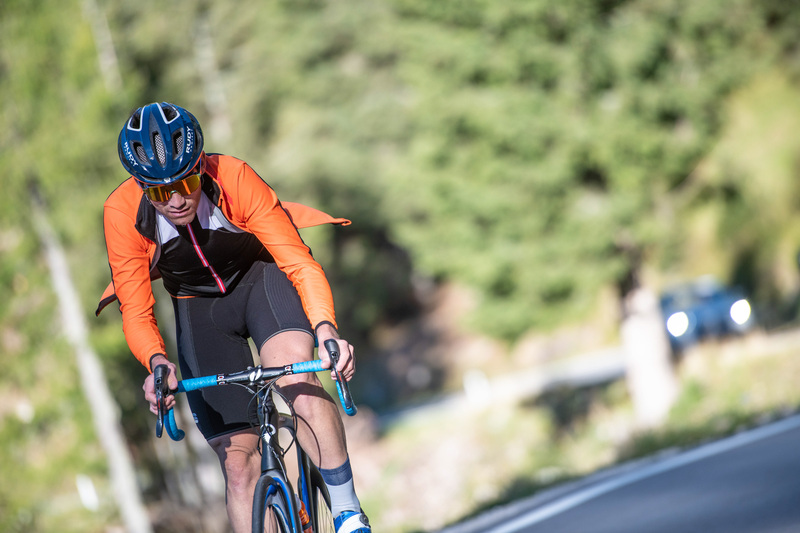 With the Southern Dolomites at its doorstep and the Monte Grappa behind, Feltre is the home of the “Manifattura Valcismon”, which combines the renowned cycling sportswear brands Castelli and Sportful. 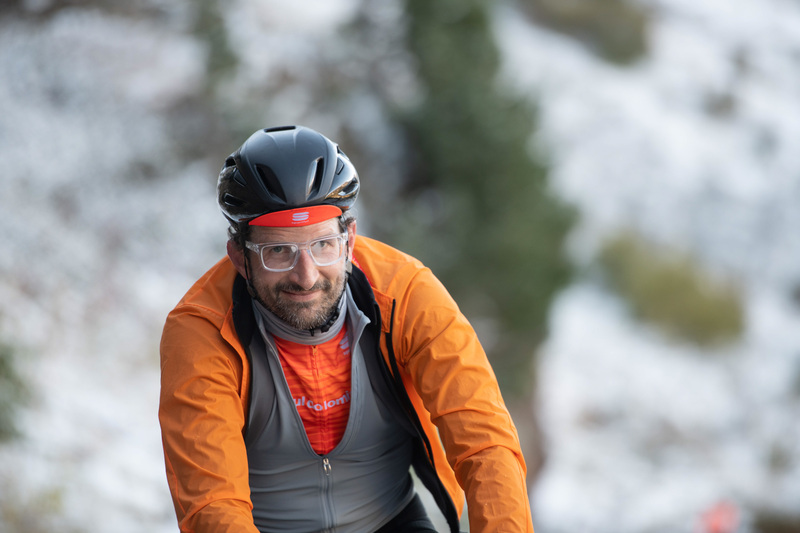 The latter - formerly a clothing brand for cross-country skiers in the 1970s – is now the official sponsor of Bora-Hansgrohe and has invited the former world champion. Sagan appears very relaxed; he answers all questions from both the moderator and journalists present, not only with patience, but also with great charm. 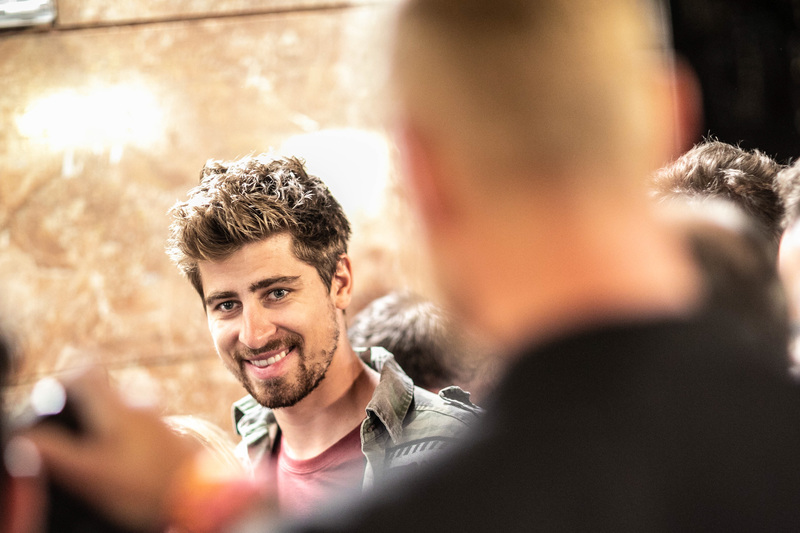 While he might have seemed impatient or even rude in previous interviews, we quickly realize that, while Peter Sagan's cycling achievements are certainly fascinating, his character and personality are no less intriguing. He seems like the kind of guy you'd like to go on vacation with. 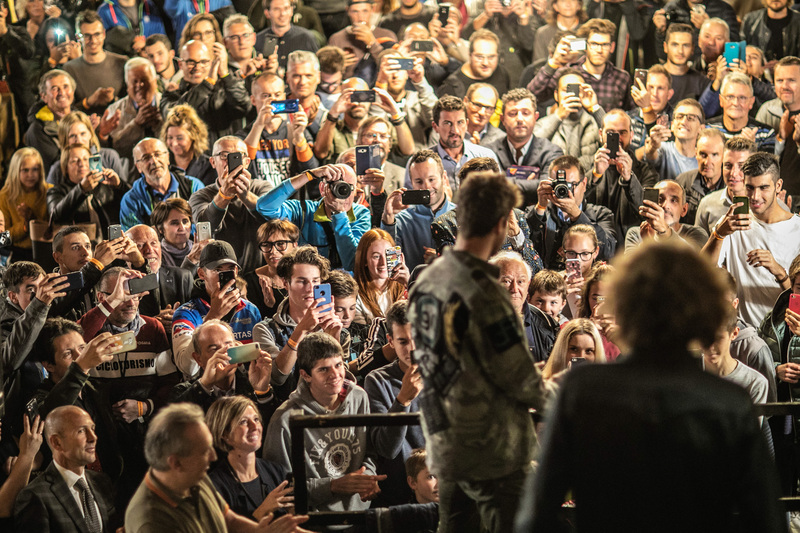 The world championships are over, as is the long an demanding season – and still it doesn't seem as if Peter Sagan might rather be elsewhere than on a PR event like this. 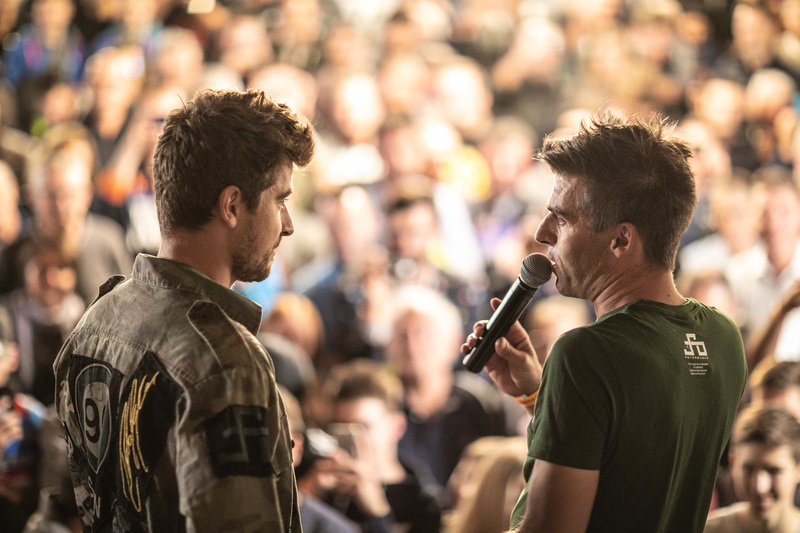 To his support, Sagan's congenial team mate Daniel Oss joins him on stage. 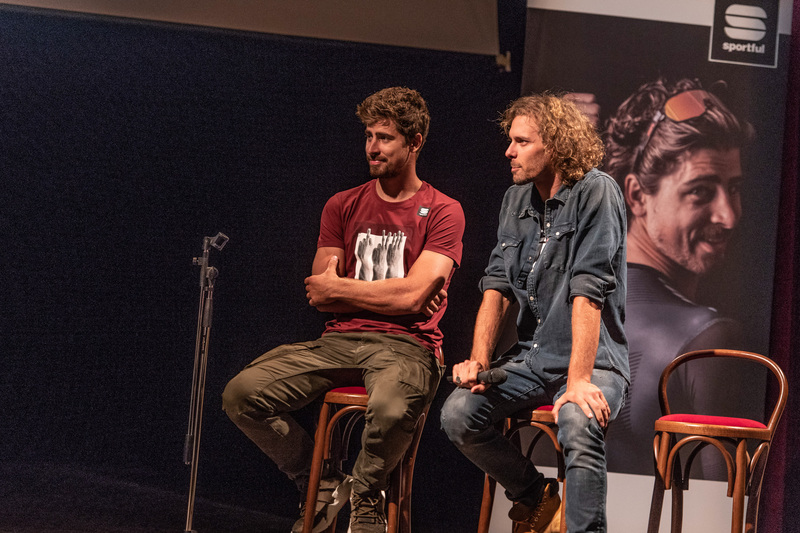 Together they reflect on the previous season, share jokes and stories about their everyday cycling life, ponder over future projects, plan their vacations – and pay respect to their sponsor Sportful by providing a show for the Manifattura's staff. Said staff is already waiting in the nearby brewery of Feltre. 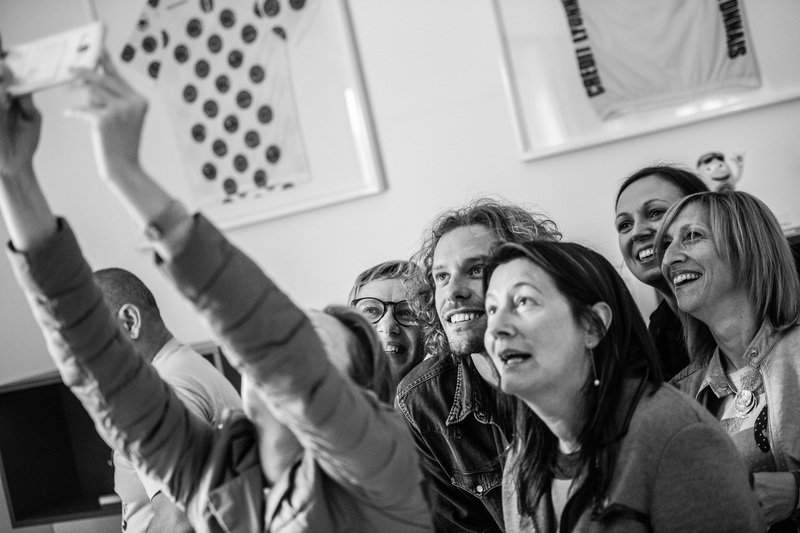 We think it's an awesome gesture of their employer – giving them the chance to see and get in touch with the cyclists they sew jerseys for – as well as a cool initiative of the cyclists themselves, who willingly join conversations and volunteer for toasts and selfies. Sagan and Sportful are also working on another project: they are going to launch the “Sagan collection”, starting with two sets of jerseys and bib-shorts. This humorous evening at the brewery is only the beginning, however – Sportful is still keeping an ace upon their sleeve. 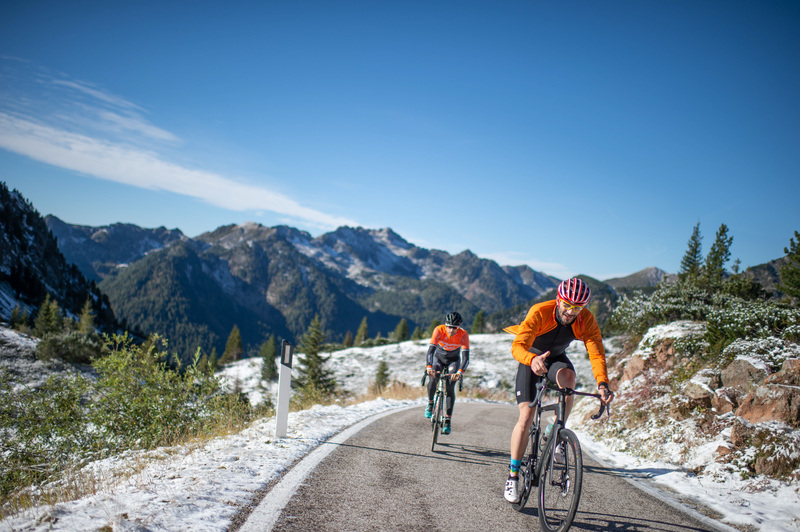 The Sportful Dolomiti Race, formerly known as the Gran Fondo Sportful, is the main reason for Sportful's invitation to Feltre. 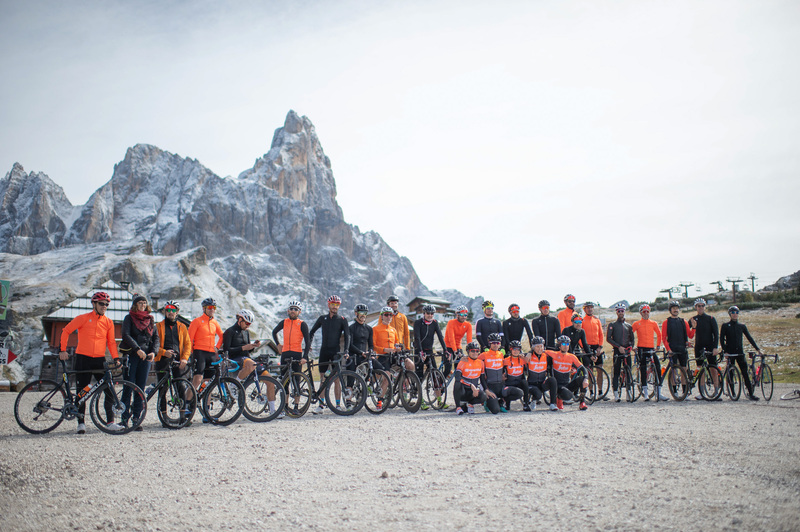 The number of Gran Fondos taking place in Italy every year is vast - almost every mountain, be it of mythical nature or entirely unspectacular, gets its own race, as does every current or former professional cyclist. 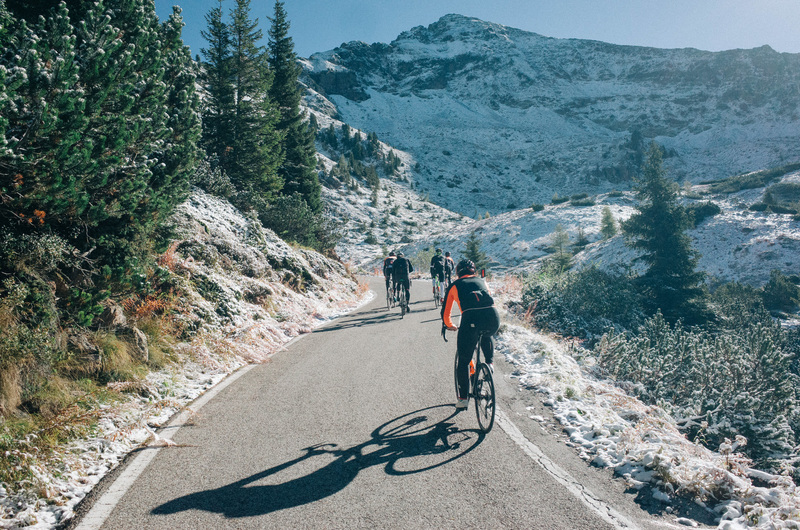 Huge starting fields, all age groups, inimitable souplesse and absolutely no signs of restraint is how you could sum up these Italian amateur cycling events. 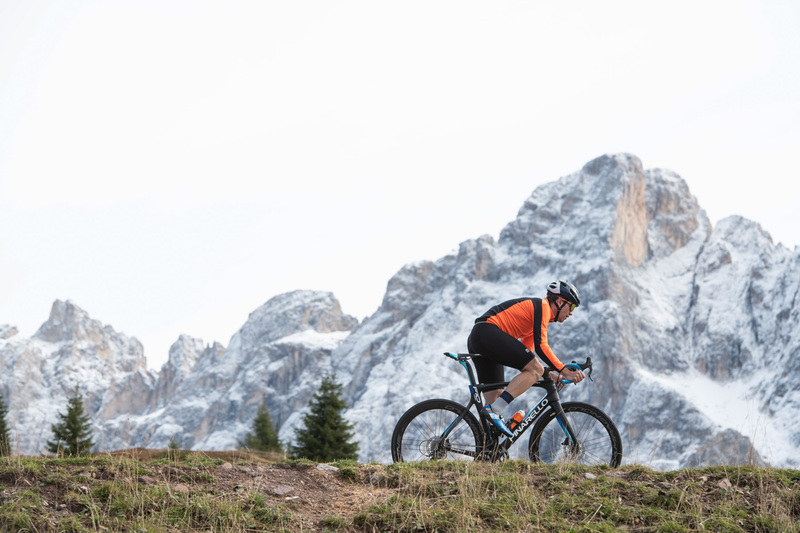 The Sportful Dolomiti Race is no exception. Only those with a certain level of skill and physical fitness should consider to accept the challenge. 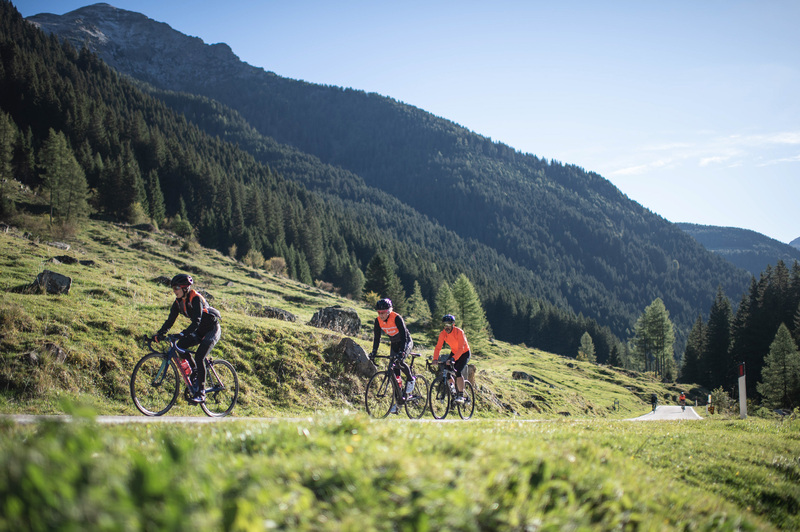 Competitors can choose between the Gran Fondo with 210 kilometres and a total elevation of 5.200 metres, or the Medio Fondo with 140 kilometres with a total elevation of about 3.000 metres. The mountains may not be as popular as those farther north, but they are just as steeped in history, nasty and steep and beautiful, and, due to their lack of popularity, perhaps even a tad more mythical. 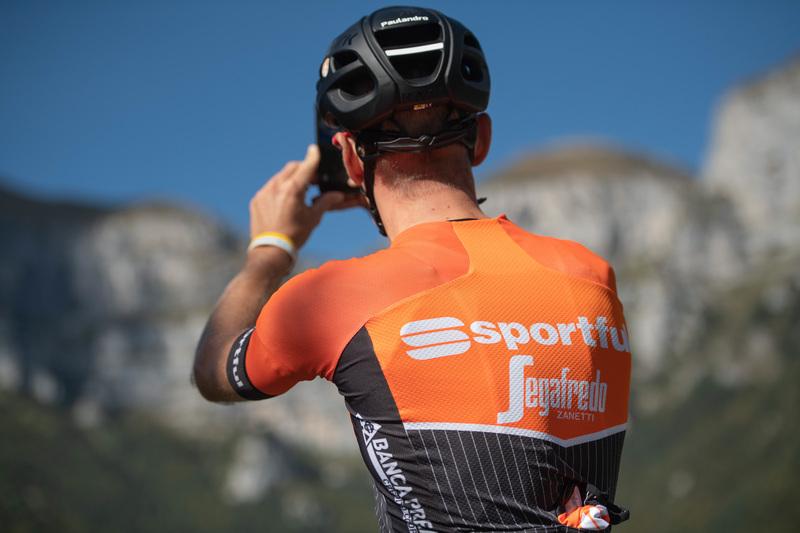 The organizers of the Gran Fondo want to promote their event - not necessarily in Italy, where it is already ranked among the most traditional races; however, Sportful still seeks to improve the Gran Fondo's popularity outside the country. Compared to the Ötztaler Radmarathon, which has become a standard considering a race's level of toughness, the Sportful Dolomiti race is definitely at eye level but holds a few advantages: the number of participants is reasonable, the entry cost being a fraction of what is charged at bigger events. 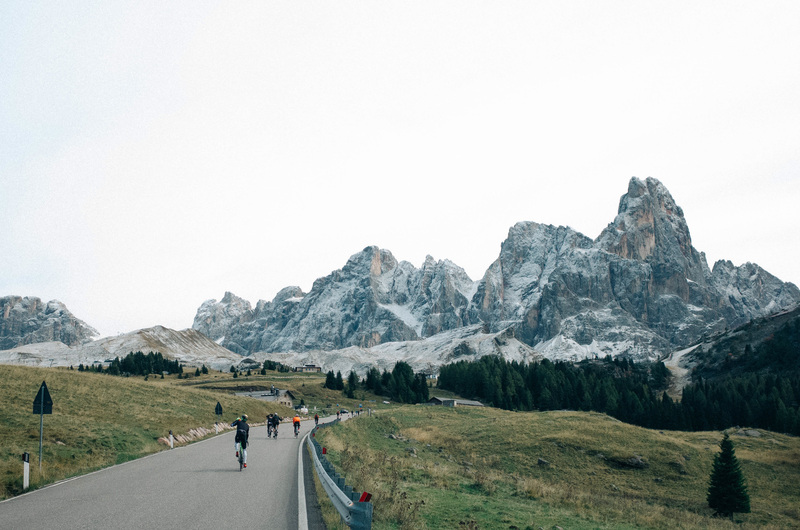 The Medio Fondo (140 kilometres) is pure Italian understatement: Passo del Brocon and Passo de Gobbera come up with an elevation gain of 800 respectively 1000 metres; over here it's usually the long course that provides that such numbers. The focus, however, is on the "really long” distance: the Gran Fondo, clearly the hightlight of this event. Big names and equally big passes await. 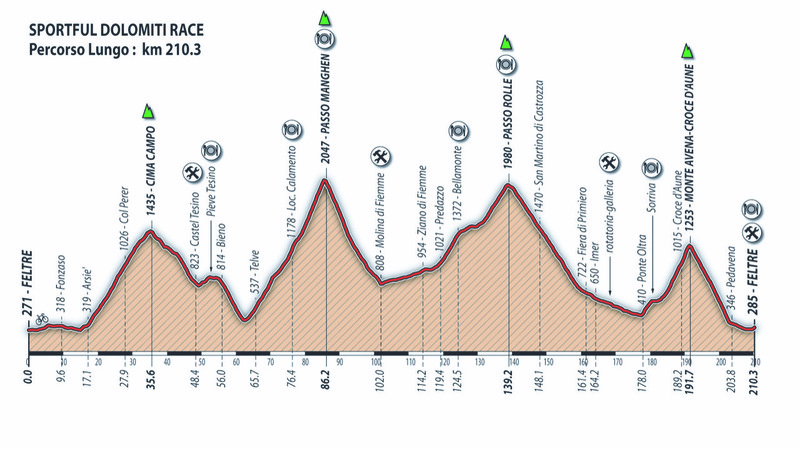 Both start and finish are located in Feltre; the first climb, shared by Medio and Gran Fondo, is Cima Campo. Around 1.100 metres to be climbed, with an average gradient of 6,1 percent, will make an easily digestible starter; however, this is also the point where competitors should face an important decision. Save your strength to survive, or stay close to the leading group? Don't forget: Italian amateur races are similar to pro races. It's not uncommon to see teams with leaders and domestiques. 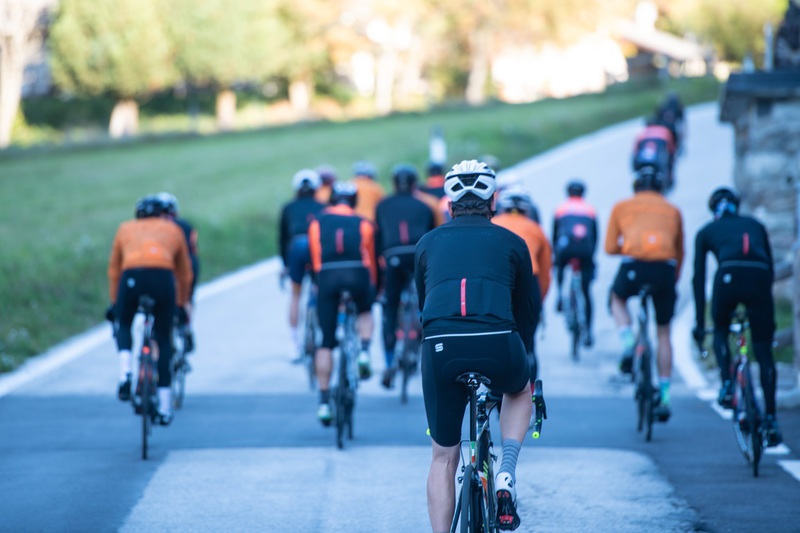 Only those with great faith in the power of their thighs should accept the challenge – and there's many a challenge along the course of the Gran Fondo. 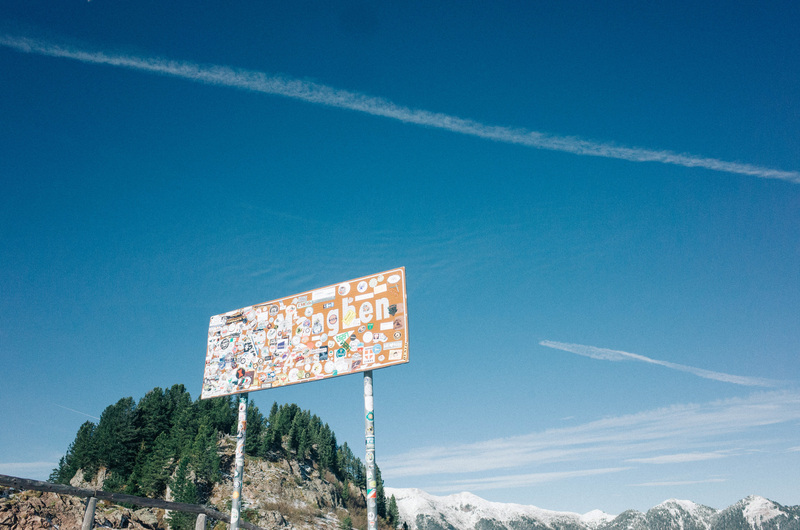 Passo Manghen is definitely a highlight: 22 kilometres to the top, 1600 metres to climb, with an average gradient of 7,3 percent. 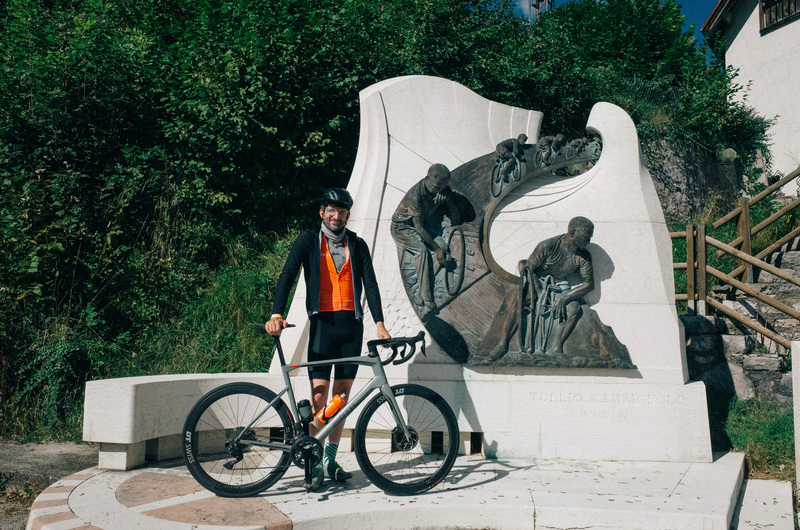 A day after we enjoyed a beer with Peter Sagan, Sportful chauffeured us to the bottom of the climb for a taste of the beauty and cruelty this montain pass has to offer. Arriving at the KOM on our bikes, 2.047 metres above sea level, we're facing a freezing -1° Celsius. The landscape is breathtaking. Twisting up the mountain in picturesque switchbacks and turns, the road eventually narrows down until there's barely room for one car and never drops below double-digit gradients. According to tales told by former participants, faint sounds of music and the howling of wolves can be heard as you approach the top – the wolf, by the way, also happens to serve as the event's heraldic animal. 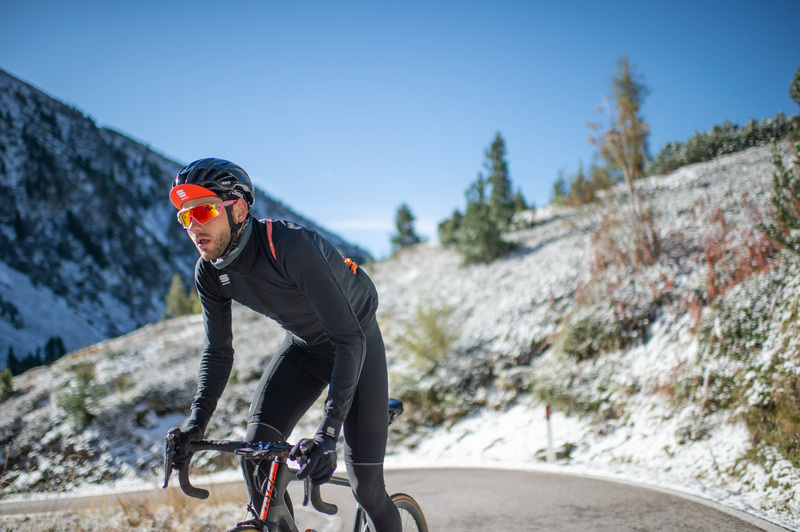 Temperatures are going to be milder in June, of course; now, in October, we're all more than grateful for the Fiandre jackets Sportful has provided. 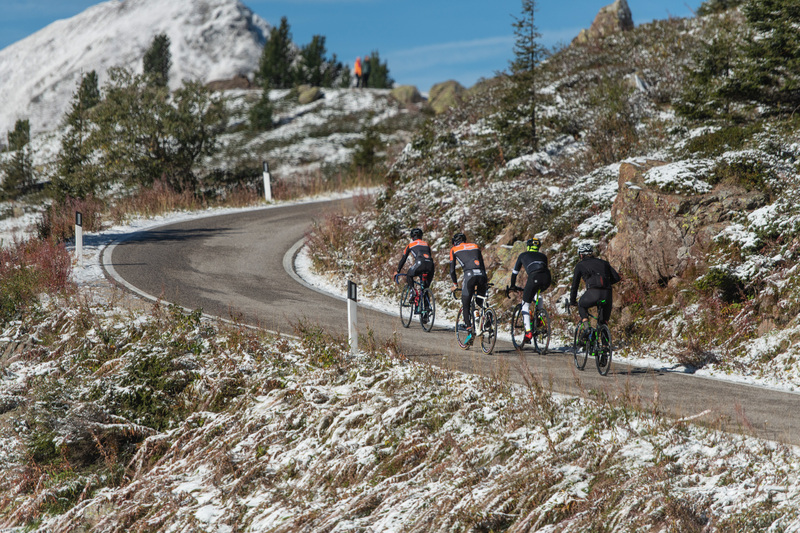 Passing through Val di Fiemma and Predazzo – widely known in the winter sports community – the race approaches Passo Rolle. A moderate one, compared to the others: 19.9 kilometres long, 959 metres high, with an average gradient of 4.8%. Long stretches of the road are shaded by trees; the slope permits quite a fast pace, giving our confidence a boost. During a race, however, these so-called easier parts often turn out to be a real killer. 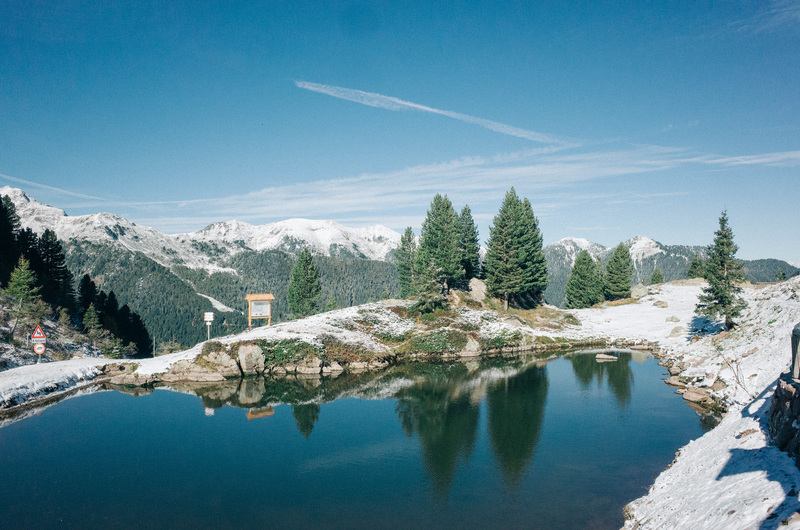 As we exit the forest and make our way to the top – 1.990 metres above sea-level – we take in the wonderful Dolomite scenery. 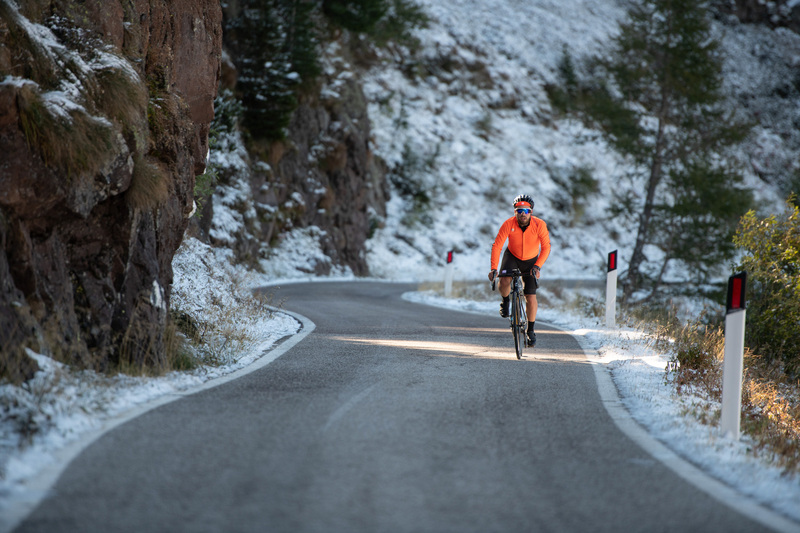 Experiencing the descent of Passo Rolle – first through switchbacks, then alongside the Cismon – is a true gem on these almost 40 kilometres. And once again this will be a point of decision: to cruise at a comfy pace and take in the fabulous landscape – or to indulge yourself in some serious racing action? 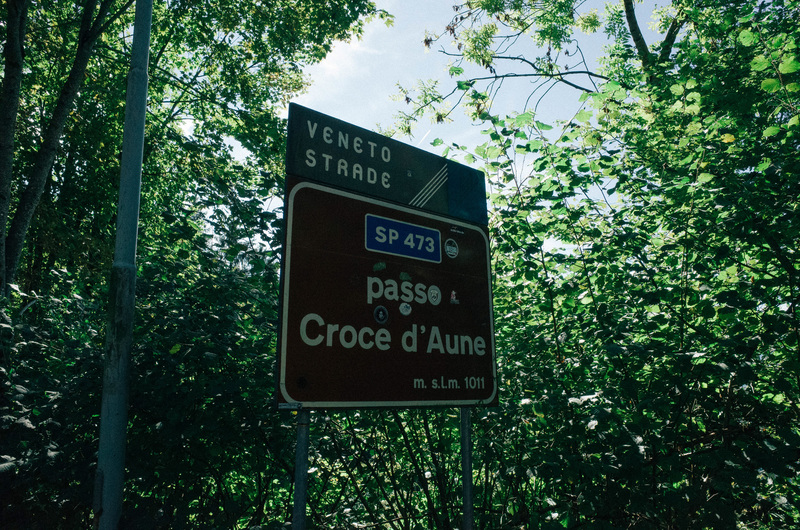 In Imer, the courses of Medio and Gran Fondo unite again – right before the final act: Passo Croce d'Aune. This is historic ground; right here, in November 1927, Tullio Campagnolo was in the lead of the Gran Primo della Viforia. Way ahead of the peloton in Croce d'Aune, he had to change his gearing due to the steep ascent. Back then, this meant removing the rear wheel and turning it around in order to use the second cog. With his fingers numb from the cold, this was no easy task; it is said that these efforts combined with his anger have inspired him to invent the quick-release. This story is so pretty and inherently consistent we happily accept it as an absolute truth, and prefer to take selfies in front of the memorial instead of wasting our time on doubts. Obviously, there won't be time for any of that during the race. With an average gradient of 5,4% the Croce d'Aune isn't the classical sort of climb where you sort the wheat from the chaff; however, after 190 kilometres and a descent of up to 18 percent on the last two kilometres, the participants better have some energy stored to conquer this last obstacle. 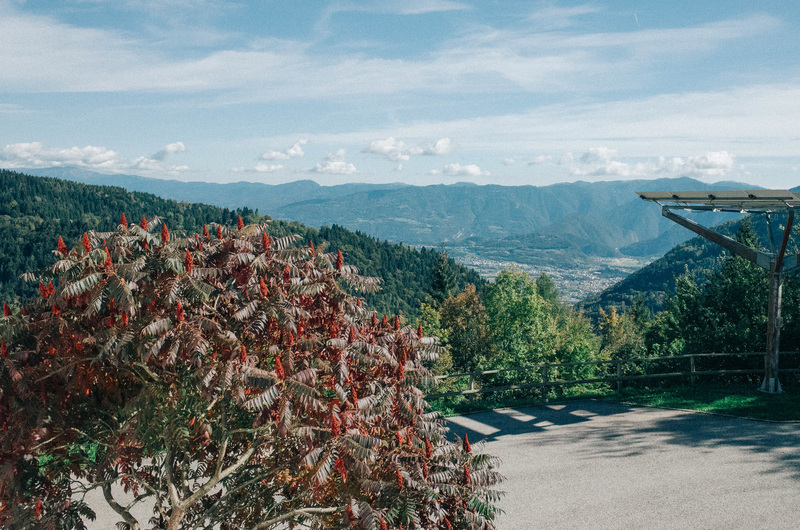 Those who made it successfully will be rewarded with a wonderful and fast downhill with flowing hairpin bends; Feltre comes into view and the finishing line is already in sight. The atmosphere alongside the track as well as near the race's start and finishing line is excellent, as befits our expectations of the Italian joie de vivre. People are leaving their houses to cheer. 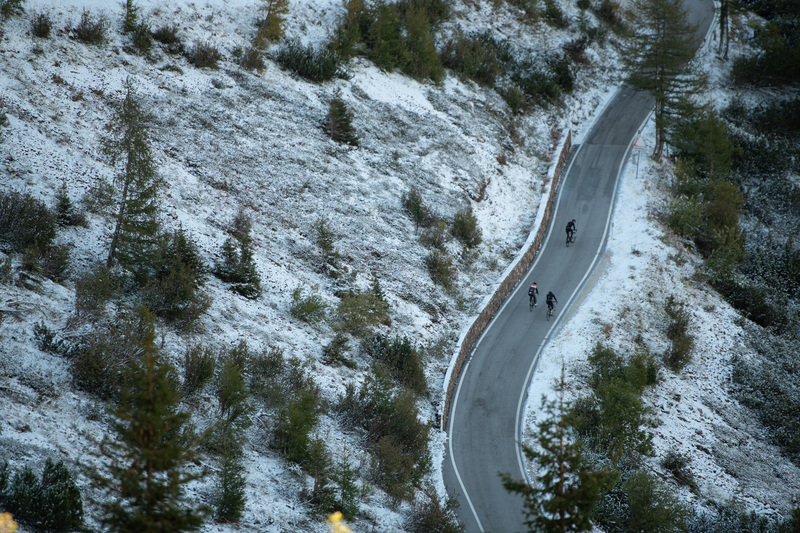 Cycling is firmly established in Feltre and its surrounding areas; the club Pedale Feltrino is one of the oldest of the region and will be hosting its own traditional race a week before the Gran Fondo, a 24 hour race in the town of Feltre itself. 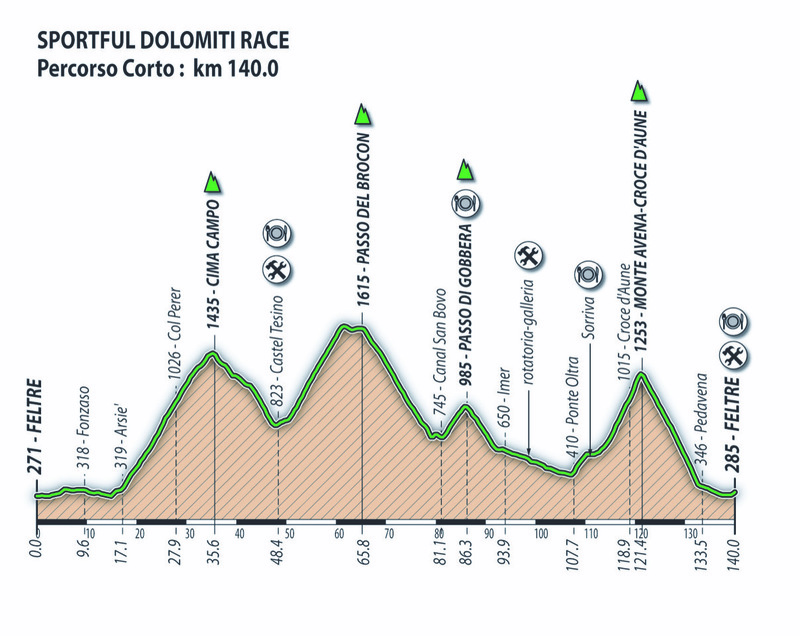 We also have some sensational news: the Sportful Dolomiti Race's course will be the second last lap of the 2019 Giro d'Italia and might be crucial considering the race's final results.